Over the years, there are those animals that have continued to steal the top position among the deadliest animals in the world. Although you cannot rule them out, there’s more to it than just brawn, large teeth, and venom defensive mechanisms when it comes to categorizing the most life-threatening creatures on the earth and in water. You think sharks, lions, and elephants are deadliest animals? You’re dead wrong. Some of the little creatures that you find cute and probably been playing around with are surprisingly extremely dangerous. Stumbling on some of these animals will cause serious illnesses or even instant death. Here’s our list of the most dangerous animals the world over. The name says it all. Everyone knows that scorpions are deadly animals. While the pretty yellow body might be tempting, it has a sting in the tail. 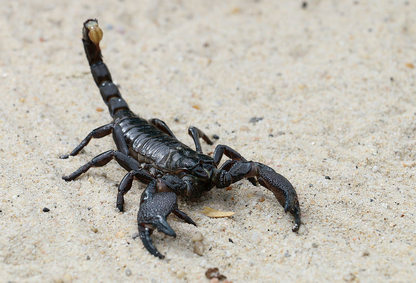 Deathstalker is responsible for three-quarters of the scorpion deaths per year. Usually found in the ocean, this shark sees an enemy in humans. And while it’s not the largest shark, this ocean predator is pretty badass. With its razor sharp teeth, nothing can stop it from tearing you into pieces. As the name suggests, the chances are high that you’ll mistake these poisonous animals for a stone. Plus, they move at an extremely high speed that once you spot them, the probability is high they will get you. They have spikes to sting you with venom that requires costly anecdote and will even kill you. While they’re thought to fear adult men, hyenas are aggressive scavengers particularly when hungry. Wait until they come in groups and they will live no corpses behind. 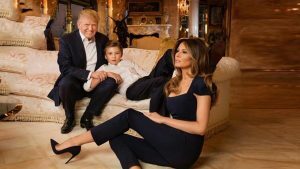 If they taste the human blood, hyenas will not hesitate to attack small children and women. This animal eats indiscriminately. It will attack humans, water buffalos, and birds. In some scenarios, they have reportedly dug up human corpses from shallow graves. And it gets worse as they are hunters who’ll await the prey, charge at high speeds and attack from the throat killing on the spot. This infamous aggressive, high-speed animal doesn’t require any provocation to attack. It charges toward the enemy at high speed with its black interior mouth open ready to bite. Surprisingly, this African legend stands on its tail to come face to face with you. Inhabiting the Sub-Saharan African, this is the world’s largest land mammal. 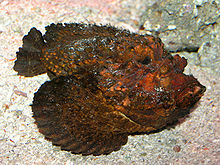 It has a reputation for being excessively aggressive to the extent of trumping other animals. When provoked, African households have had to bear the brunt of its vindictive tendencies that cause massive destruction of property and even deaths in villages. While it’s just the size of a thumb, this animal has a wingspan more extensive than some birds. In Japan, several deaths have resulted from this flying creature that can charge at speeds of 25 hours per hour. They have stingers the quarter of an inch containing venom. To prove how dangerous they can be, giant Hornets can eliminate a swarm of bees. For most of us, the mention of spiders sends down cold chills down the spines. Forget the black windows and the brown recluses, Brazilian wandering spider doesn’t spare. These arachnids are utterly irritable and will attack you with venom. You will find them on webs where they prey on soft-bodied insects. There are over 100 species of dart frogs, each with its own toxicity levels, color and size. You’ll find these golden poison dart frogs, which have a bright neon appearance, in the Central and South America. These amphibians have tip weapons that contain venom capable of killing over 10 people. With its history of eating even the scary water buffalos and sharks, this reptile is no joke and will stop at nothing to attack a human. Upon striking, it will flip the prey over again and again to drown it. You would be committing a grave mistake to assume this creature due to its small size. Shockingly, this golf-sized animal has enough venom capable of eliminating over 20 adults. A victim becomes paralyzed and short of breath within a few minutes of the attack. Worse still, the antidote is non-existent. For a long time, Africans have considered hippopotamus’ as the world’s deadliest land mammal. These scary and highly aggressive creatures cause approximately 500 deaths per year in Africa alone. Hippos have very sharp teeth and will not hesitate to tip over moving boats. Inhabiting the Sub-Saharan African countries, these bloodsucking insects are pretty dangerous. A sting from the flies is enough to infect you with sleeping sickness. When they attack, masses contract the diseases. Besides, other animals are not spared as they spread trypanosomiasis. The victims of the attack develop nervous system failure and neurology problems. Found in Sub-Saharan Africa, the bad thing about Cape Buffalos is that they can be incredibly unpredictable although they pose a huge threat to human life. The nickname, Black Death is not just in vain. If startled when grazing or at the watering points, they know how to use their scary hones that they use to attack even vehicles before fleeing at insane speeds. You don’t want to mess with these behemoths. These venomous, almost invisible invertebrates inhabit the Indo-Pacific Waters of Australia. Box Jelly Fish have approximately 15 tentacles positioned at the corners and with thousands of stinging cells. You’ll stumble on them when either floating or when moving at speeds of 5 miles per hour. A single sting and the toxin will move the heart, nervous system and even the skin cells. If you explore the globe, you’ll stumble upon pufferfish in the tropical areas including China and Philippines. Although they’re a delicacy in Japan, these fish rank second as the most poisonous vertebrates in the world. They have their toxins positioned on the skin, muscles tissues and liver and deaths reportedly come from the consumption of these parts. In the sea, sharks and jellyfish are not the only threats. 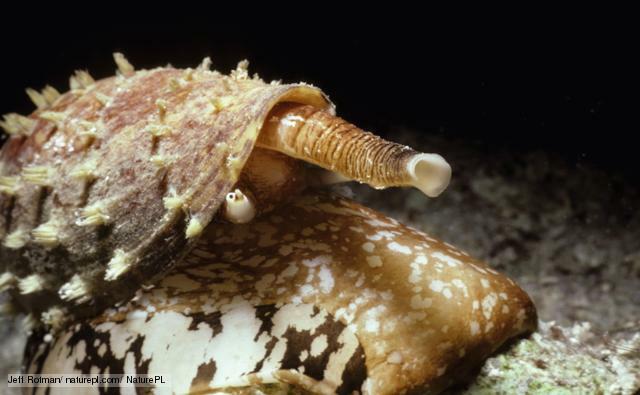 Wait until you encounter cone snails that might strike you as any other non-aggressive snail. If you go into the water, beware of these little creatures. A drop of venom from these animals can claim the lives of 20 people in a few minutes. Surprising, right? Apparently, we humans pose a danger to each other and rank second as the most dangerous animals. According to a study by UNODC, 437,000 homicide cases were reported in 2012. The deaths resulted mainly from domestic violence and crimes. Predominately in Sub-Saharan Africa, you must have heard about Malaria caused by mosquitoes. These small bugs are notorious for wiping 750,000 lives per year in Africa, through the sucking of blood and transmission of viruses. Aside from Malaria, Dengue fever is also another mosquito-borne disease mainly in countries in Asia and Latin America that has caused deaths among children.